Petlas launches 22.5” and 17.5” TBR range in Reifen 2014, Essen show, which is considered as sector’s most reputable exhibition globally. As Messe Essen confirmed 20.000 visitors from 130 countries, Petlas is proud to be amongst leading sector representatives in Hall 3.0. Petlas with a vast production capability ranging from passenger car, light truck, 4X4, TBR, agricultural, industrial / OTR, and aircraft tires, pays a special attention to PCR/LTR/4X4 and TBR range, which is highly appreciated by Petlas distributors, especially in the EU markets. 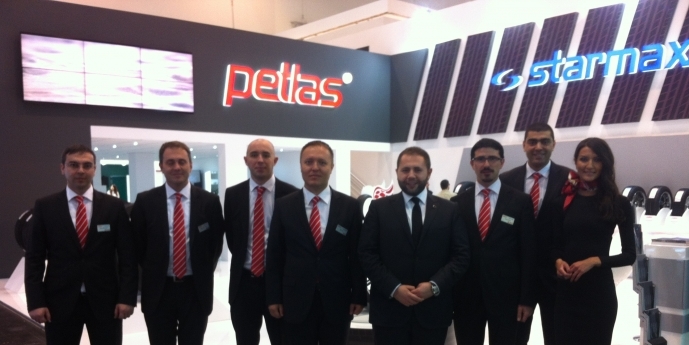 In accordance with the goals of the company, Petlas intends to speed up marketing activities with a special focus on tire industry fairs. As Petlas Tyre Corp., we highly appreciate all of our visitors’ attention, and we would be glad to welcome you in the upcoming fairs as well.